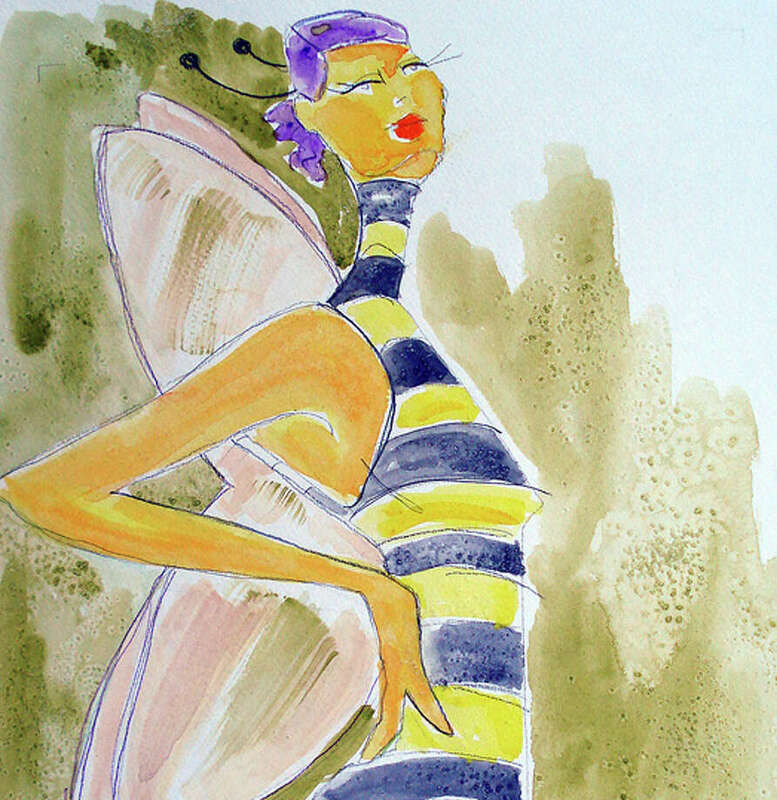 Bee Season by Lisa Smith Arnold. On Friday, Oct. 14, from 5 to 7 p.m., Atria Darien will host an art opening and wine reception in honor of featured artist Lisa Smith Arnold. Her work will be on display through the end of October. Arnold is a working artist who exhibits in the Tri-State area as well as Maine and Virginia. She is also an instructor at the Silvermine School of Art as well as Norwalk Community College. Coming from a fashion background after working at Conde Nast publications, she incorporates a "fashion look" in many of her pieces. Her medium of choice is watercolor along with pen and ink. Her show also includes a bit of collage work. The Gratia Gillespie Art Gallery is free and open to the public from 9 a.m. to 7 p.m. daily. For more information, call 203-662-1090. Atria Senior Living Group, the nation's fourth largest assisted living owner-operator, provides respectful, quality care that helps more than 14,000 older people live life to the fullest. Atria communities are are active communities where seniors can get the care they need to live as independently as possible. At the heart of Atria's approach is the belief that superior care depends on running a superior business. To learn more, visit www.atriaseniorliving.com.